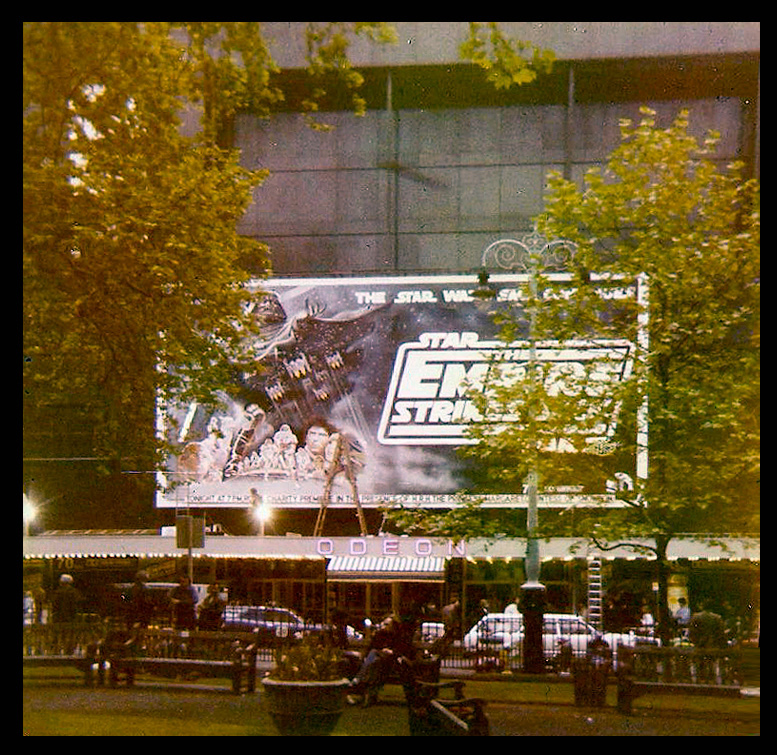 Marquee Poster Blog | Authentication | Rare "Empire Day" UK Royal Premiere poster unearthed! Authentication | Rare “Empire Day” UK Royal Premiere poster unearthed! Star Wars collectors, this is the ONE poster you’ve been waiting your whole life for! Not only is this poster for The Empire Strikes Back, widely regarded as the best film in the series, but it’s for the premiere in London! 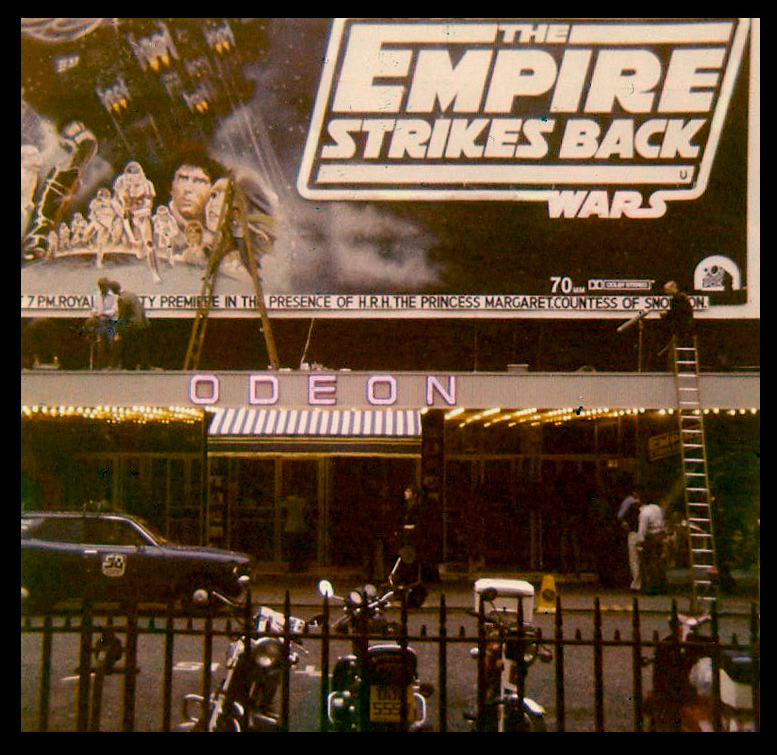 Empire Strikes Back had a one-night, one-screen Royal Charity Premiere at the Odeon Cinema in Leicester Square on May 20th, one day before the movie was released widely to cinemas. The title is a play on the British “Empire Day” holiday, named for Queen Victoria’s birthday on May 24 and celebrated throughout the Commonwealth between 1902 and 1958. Flash forward to 1980 and the world was on edge of it’s seat in anticipation for first sequel to the highest grossing movie in history. 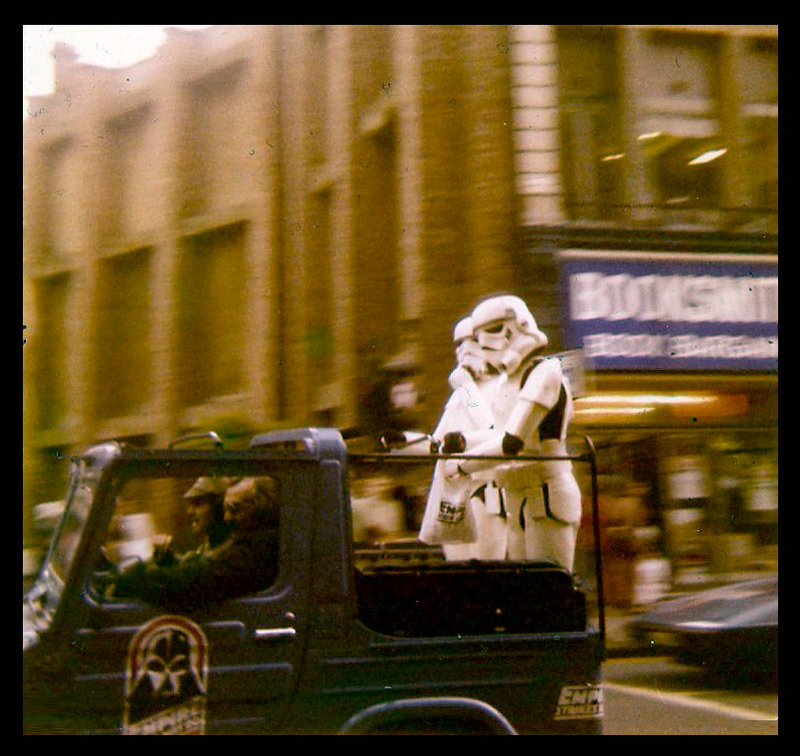 Some promotional genius had the inspired idea to send a legion of stormtroopers throughout London to drum up interest. You can read more about the “Empire Day” premiere at StarWars.com. Notice that this exact poster style can be seen in their image above — it is mounted to sign on a stick “protest style” and carried by one of the troopers! Presumably only a small number of posters were printed and to my knowledge this the first example to be sold publicly. Before this poster surfaced, the only record of this important event in cinema and Star Wars history were just a few of the small A4-sized handbills passed out by the stormtroopers. This is the real deal poster and it has a wonderful mod, minimalist style to boot. If you are looking for a Star Wars poster to stand out from the crowd, look no further. This poster is a collection in and of itself and once it’s gone, don’t expect another to surface anytime soon — if ever!